During your appointments at our West Caldwell dental office, you may have heard your dental team talk about “occlusion”, and you may have thought to yourself, “What are they talking about?” Basically, occlusion is just a dentist’s way of describing the way your top teeth come in contact with your bottom teeth when your mouth is closed. More commonly, occlusion is referred to as your bite. What Causes a Bad Bite? Any number of things can cause a bad bite. Sometimes, people are born with a bite that, if left untreated, could cause any number of problems later in life. Other times, an accident, clenching or grinding teeth, or missing teeth can change your bite into one that’s uncomfortable and leads to pain or the need for dental repairs. There are several treatment options to correct occlusion. Each person’s situation is different and the appropriate treatment can vary greatly. 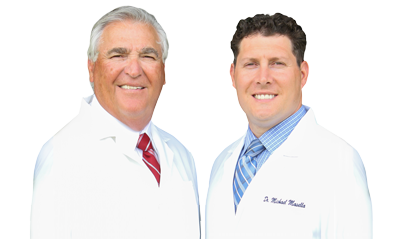 It’s best to talk with your dentist in West Caldwell to determine which may be best for you. 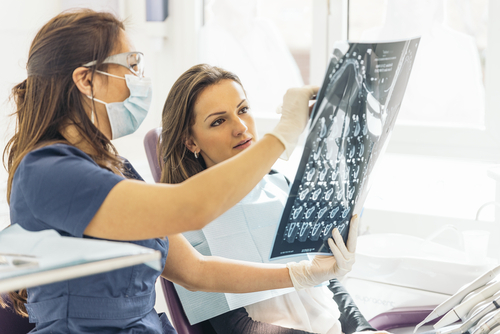 If you suspect your bite is the root of any discomfort you may be experiencing or any dental problems you have, we recommend calling our dental office in West Caldwell. We’ll evaluate your bite and talk with you about any treatment options that may help correct it.